and found that the further away the throwing shoulder was from the wall, the tighter the back of the shoulder was and the greater the risk for injury. 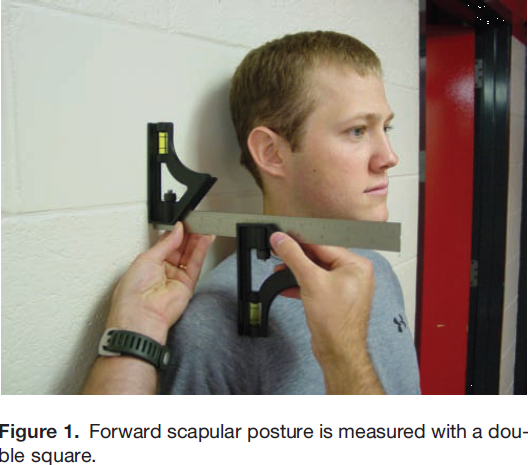 "had higher amounts of posterior shoulder tightness". Having proper posture can help prevent shoulder tightness and may decrease injury risk. How Can I Maintain Proper Posture and Shoulder Position? Jumping Rope! You can click here to find out how jumping rope increases shoulder strength. Proper Shoulder Strengthening Exercises. Strengthening the BACK of the shoulder is priority #1 and you can find those exercises here. Core Strengthening. Here are 4 ways to find out if you have a weak core.